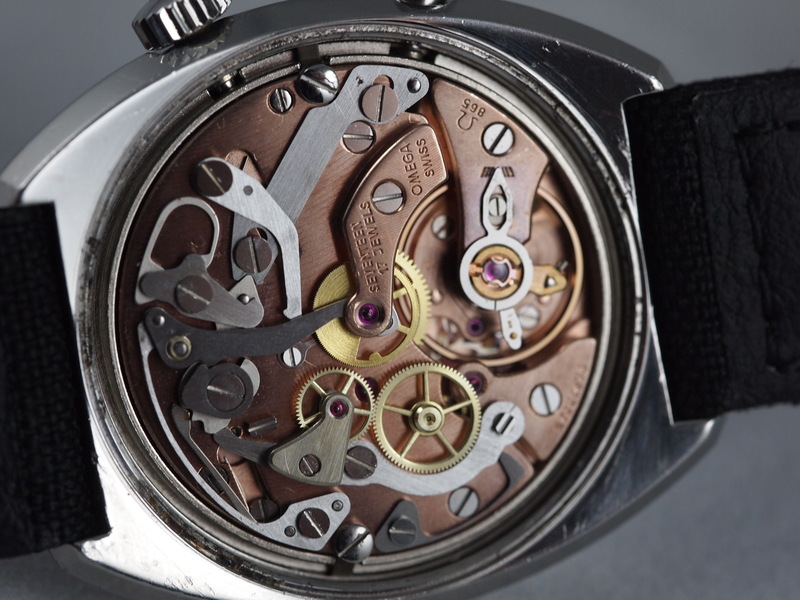 When it comes to chronographs, I am unable to think of a single personal instance in which I have needed the function for more than one minute. 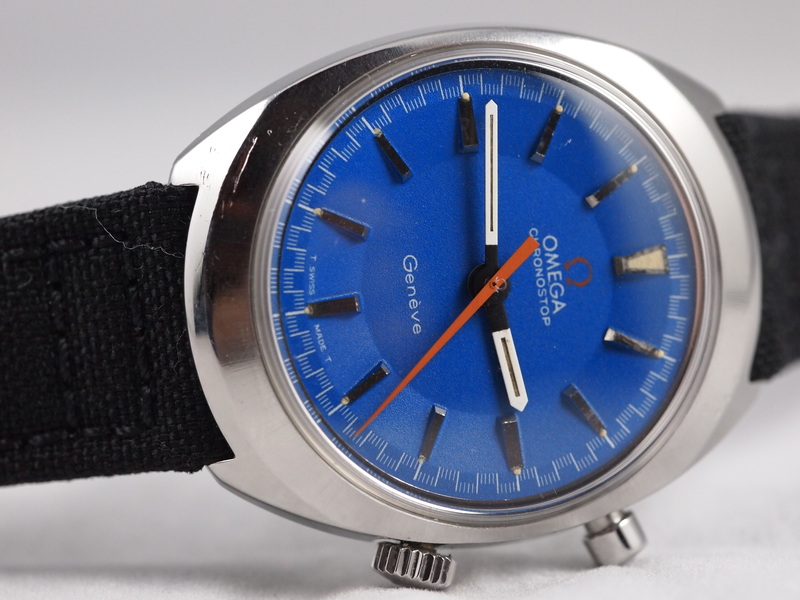 Clearly the chronograph is not the most useful of complications, but that does not temper my (or the world’s) fascination with them. 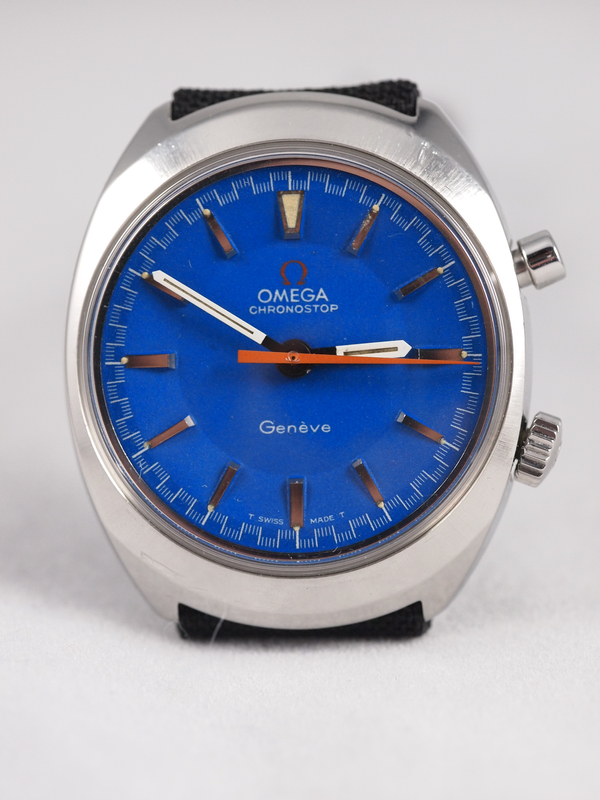 Until very recently the invention of the chronograph was attributed to Nicolas Rieussec. It was presented to King Louis XVIII in 1821 as a way to time how long the horse races lasted. This year credit was called into question when ancestors of Louis Moinet presented an extraordinary chronograph that is believed to be from 1816. It is definitely a piece worth looking up. 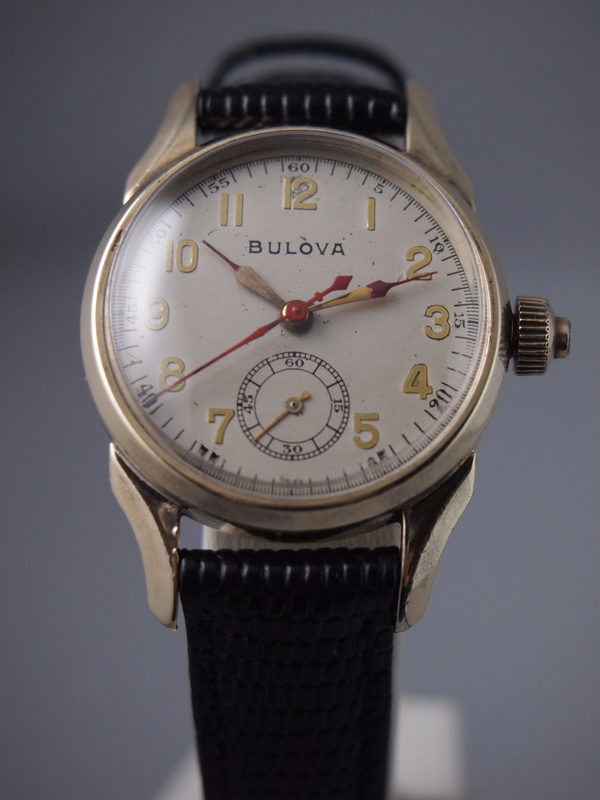 This Bulova One-Button has been on my restore wish list forever. Recently I was lucky enough to snag two of them and this was the first one I got to restore. 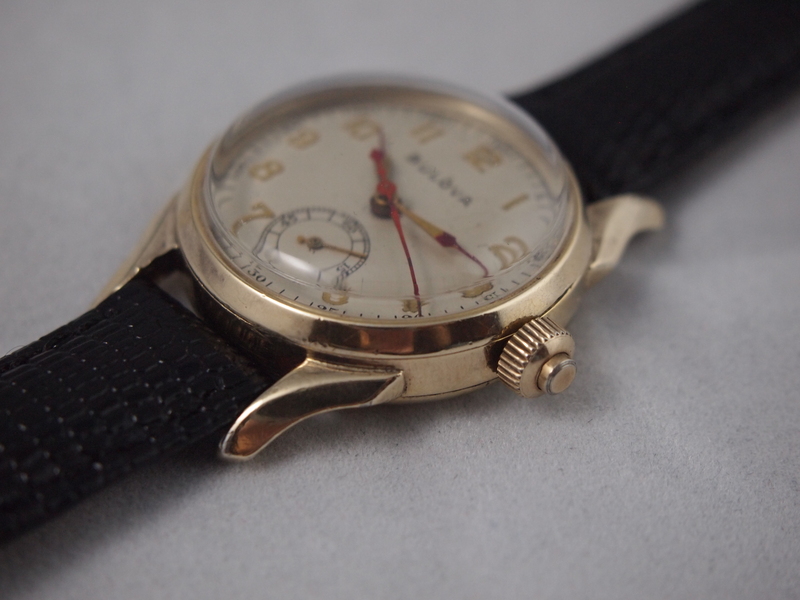 This incredibly rare 1942 “One-Button” is a wonderful and elegantly understated chronograph distinguished by its unusual button found on the crown. 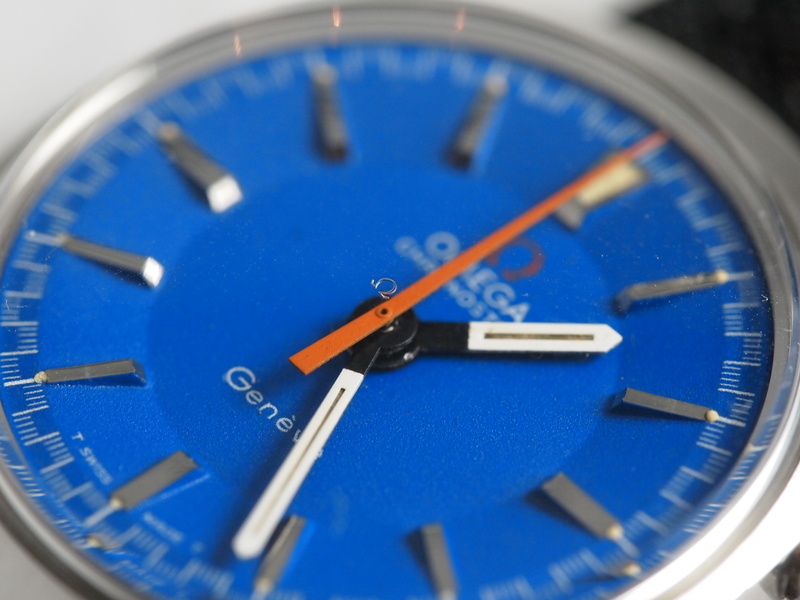 One can easily pass by this watch thinking it to be time only, but a second glance reveals both a sub-dial second hand and a sweep-second hand. 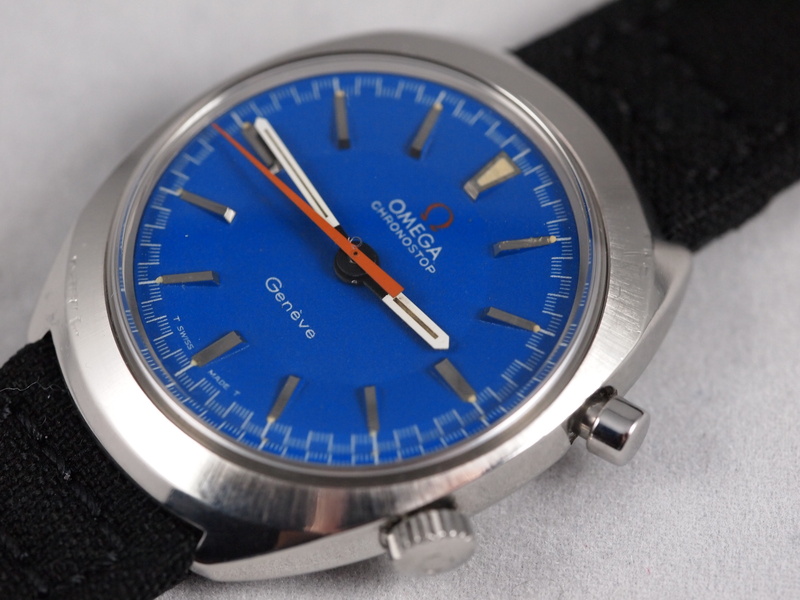 The latter is a sixty-second register controlled by the chronograph gears. 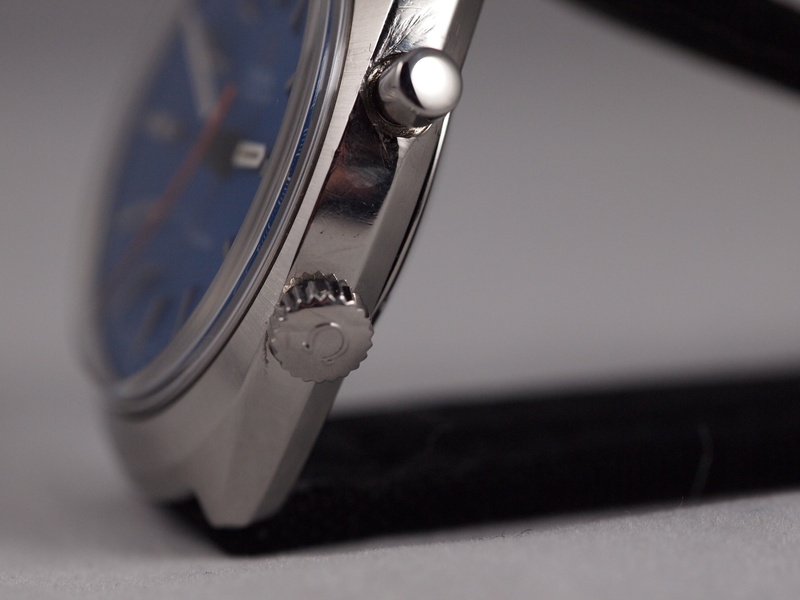 It includes a start/stop/reset function all engaged by pressing the button protruding from the crown. 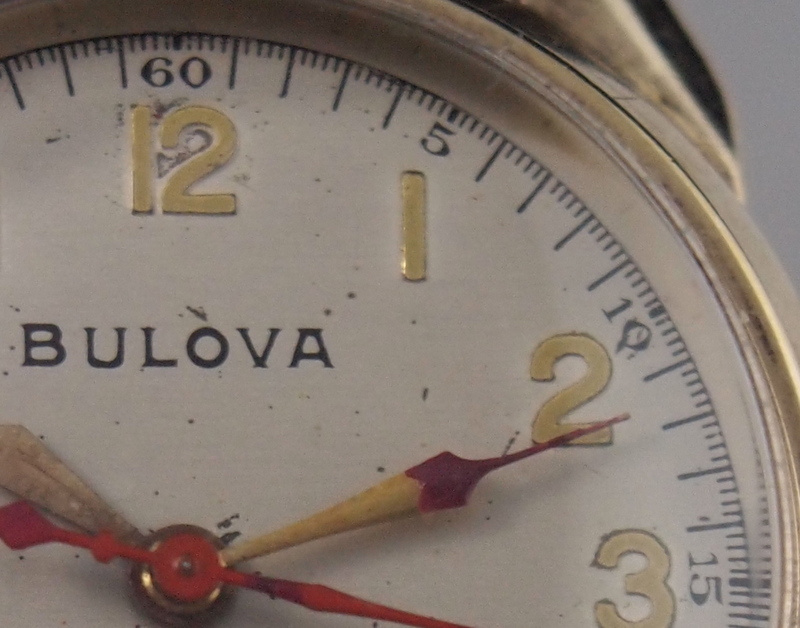 This is one of the smallest mechanical production chronographs ever made, and certainly one of the more rare Bulova pieces. 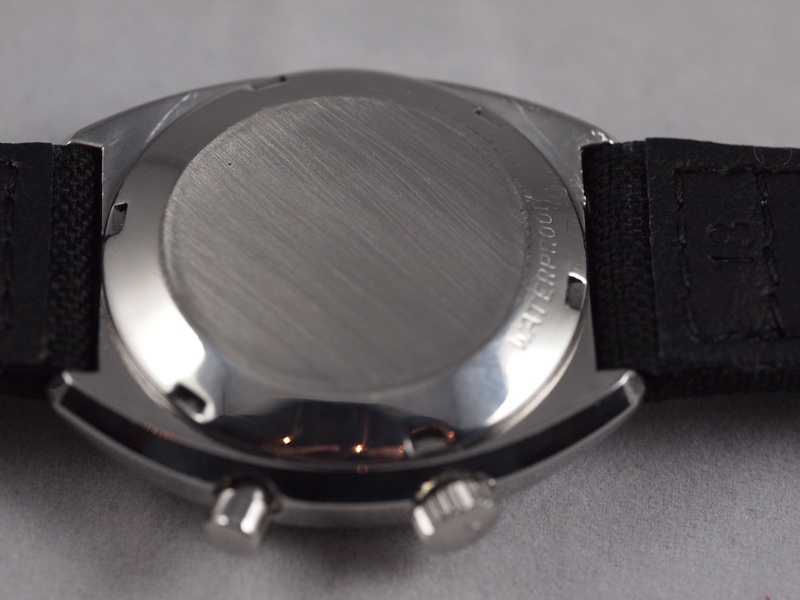 I got this watch with a cloudy scratched crystal and in non-running condition. 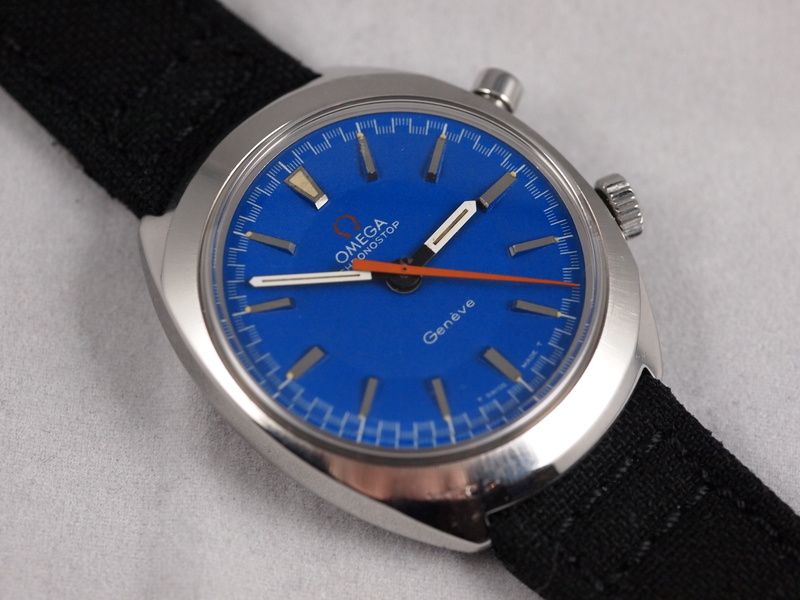 I was incredibly pleased to find that underneath the crystal the dial was in amazing original condition and had not been refinished. 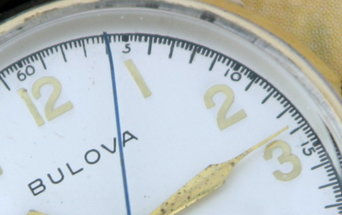 A great way to roughly determine a redial is to look very closely at the small numerals. Re-dialers can do amazing things, but even the best ones are often unable to perfectly replicate the fine details of the smallest numbers such as their specific shapes or alignment. This is just one reason that re-dials just never look the same. Look at the two pictures below for a great recent example. 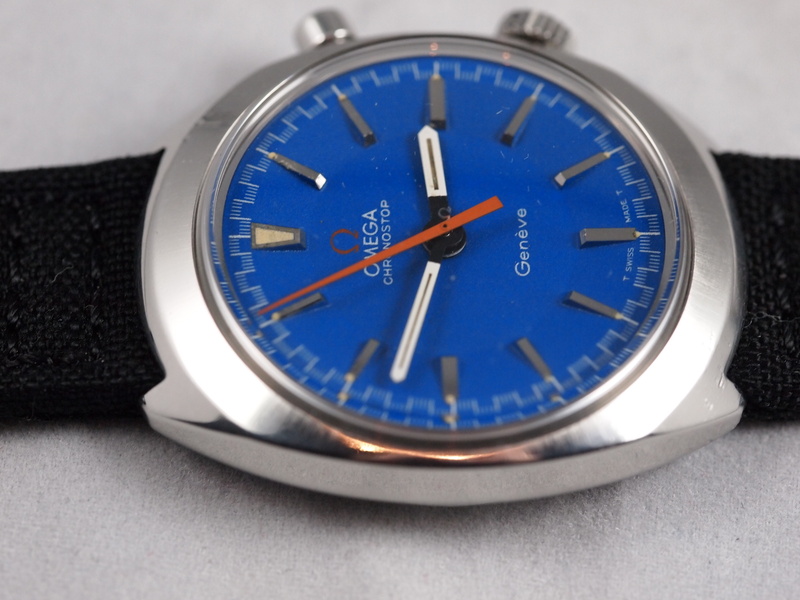 The picture on the left is the original dial and the one on the right has been redialed. 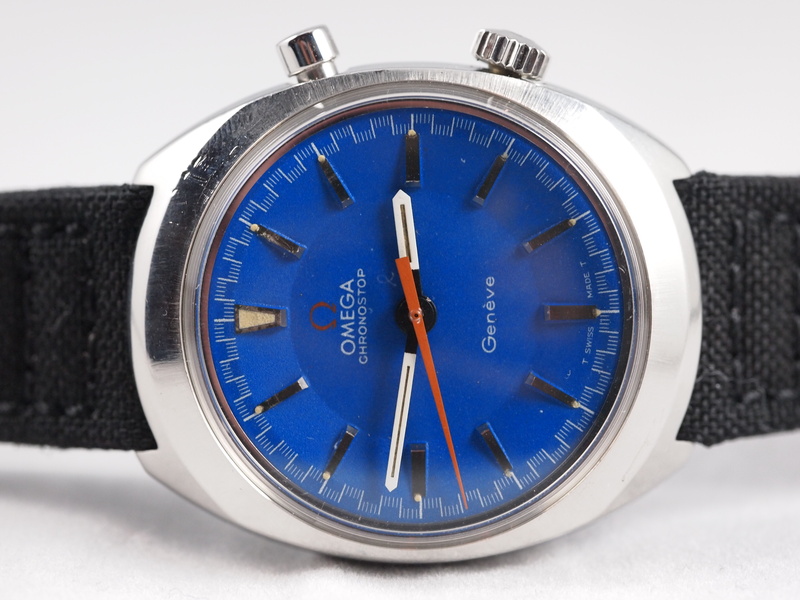 You will see a world of difference, and a major reason that the refinished watch just sold for considerably less than a full original should. 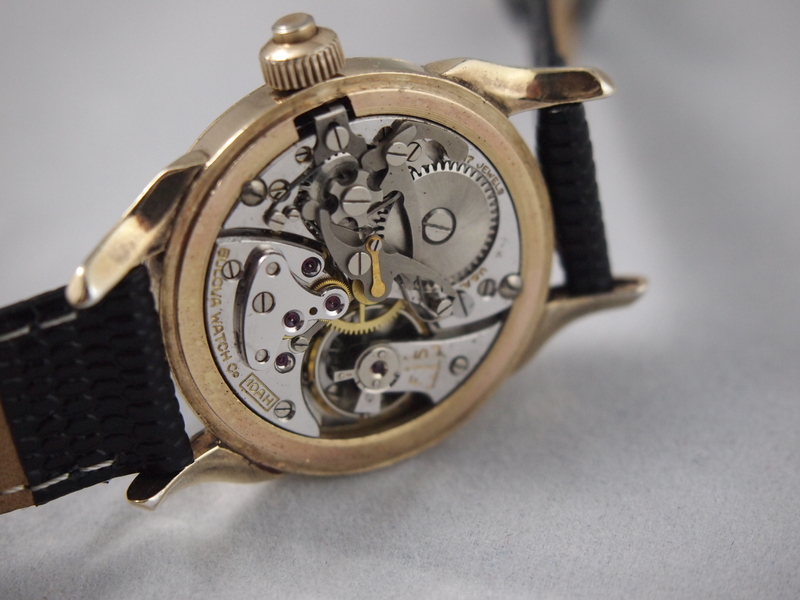 After disassembly I found two major problems: a horribly disfigured hairspring and broken teeth on the cannon pinion (the piece that carries the minute hand.) The first problem was easily solved by going into my parts stock and digging up a “harvester movement” with an interchangeable balance complete. The second problem required a special and discontinued part that I could only find in the UK. 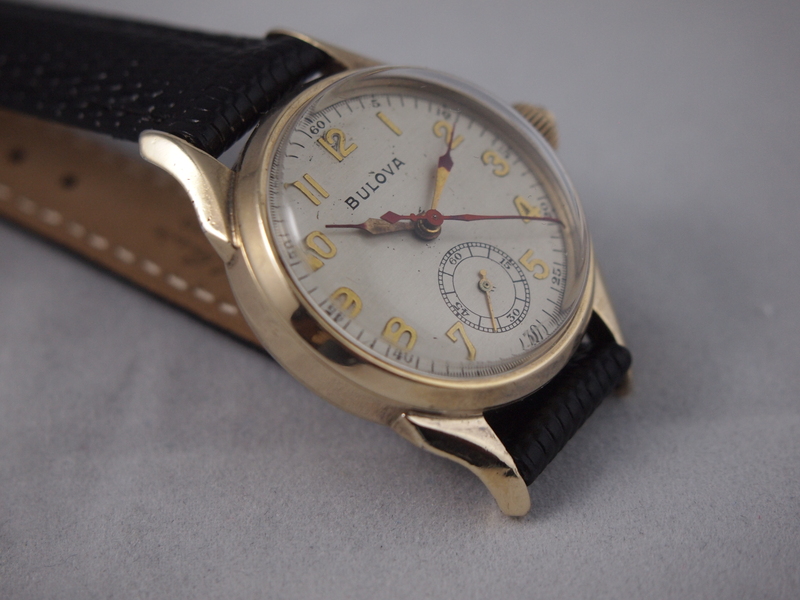 With all the new parts installed, a case polishing, and a new crystal this over 70 year-old watch is back up and running beautifully. 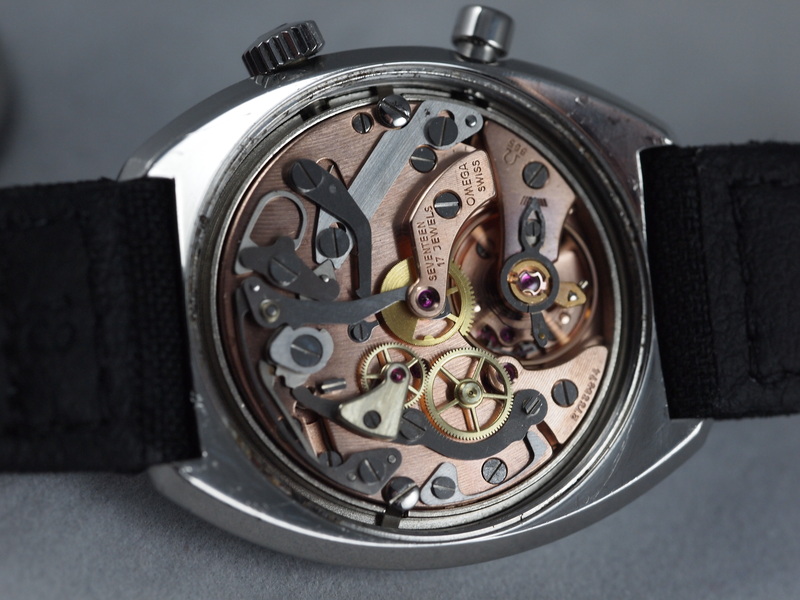 It’s always incredibly satisfying to put the balance in and see a watch come to life but it is even more exhilarating to push a button from 1942 and watch a chronograph spring into action.